Sure, you might find produce and food stuff, but night markets, in addition to being open at night, are more like a combination between a regular market, a flea market and a fair. From food stalls to toys, clothes or counterfeit goods, night markets are filled with the most unusual wares, and are a great place for a leisurely evening or late night stroll. So here are some of the best night markets in the world, for sleepless travelers. Although it started out as a small swap meet for used scooters, Ratchada Night Bazaar next to Ratchadapisek metro station has grown into a flourishing market where Thais and tourists alike browse for second hand clothes and accessories, vintage cameras or pieces of art, bikes, car parts and other things. The atmosphere is so inviting and spellbinding that you can hardly leave without buying something. The summer night market in Richmond is more than a market, it is an event meant to celebrate Canadian multiculturalism. There are performances by Salsa bands and Asian bands, but above all, there is a huge quantity of food being sold. Dishes from all over the world are craftily prepared, displayed and tasted at more than 200 stalls, but there are other things, like gadgets and accessories, sold as well. The legendary night market of Marrakesh is a blur of enticing smells, colors and tastes. Without a doubt, this night market is one of the biggest foodie paradises in the world, with Moroccan treats eaten at long communal tables. There are snake charmers, street performers, orators and peddlers of all sorts of things involved as well. During the Australian summer, November through February, the 19th century Queen Victoria Marketplace comes alive each Wednesday night with a varied assortment of people, stalls and wares. The night market showcases the ethnic diversity of the city: you can find Ethiopian, Chinese, Dutch, Indian, Spanish and many other merchandise and foods. In a country where night markets are more common than anywhere, this is a special market, where you can find only culinary delights. Ningxia is the best place to go if you want to sample as many Taiwanese snacks as you can in one go. Over 200 stalls sell food in a decidedly green way: with eco-friendly chopsticks and systems that keep the grease out of the sewage system. 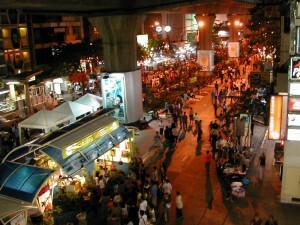 LOVE Bangkok night markets. So much so that I got a place next to my favorite one. And I was just supposed to be on a layover to Nepal. You really got a place next to a night market? 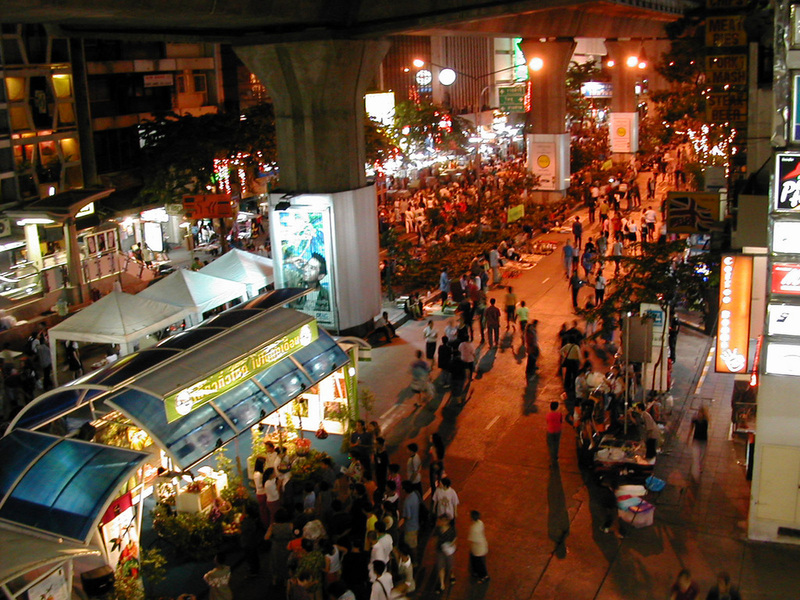 I mean, yes, getting around at a night market must be fun, but living next to one… Isn’t it a little crowded and noisy?